Have you noticed plant-based milk alternatives are popping up everywhere? No longer exclusive to health food stores and natural foods supermarkets, many non-dairy options are finding their way into peoples’ diets. 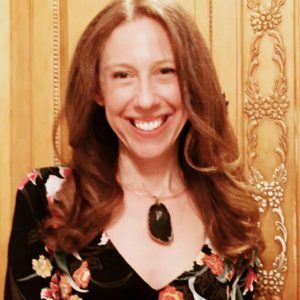 These “milks” are sought out for various reasons: lactose intolerance, milk protein allergy, vegan lifestyle, environmental issues or simply dietary preference. It’s currently a hot political debate as to whether or not these alternatives should be labeled “milk” since they don’t come from a cow (or another utter animal) but not going to get into the political aspect for now! Inspired by a client who can’t tolerate milk or soy, I was on a mission to find a milk-like beverage that she could tolerate and enjoy. It’s not uncommon for in-treatment cancer patients to have issues with lactose or other components of milk. Luckily, there are so many options now to meet different needs. 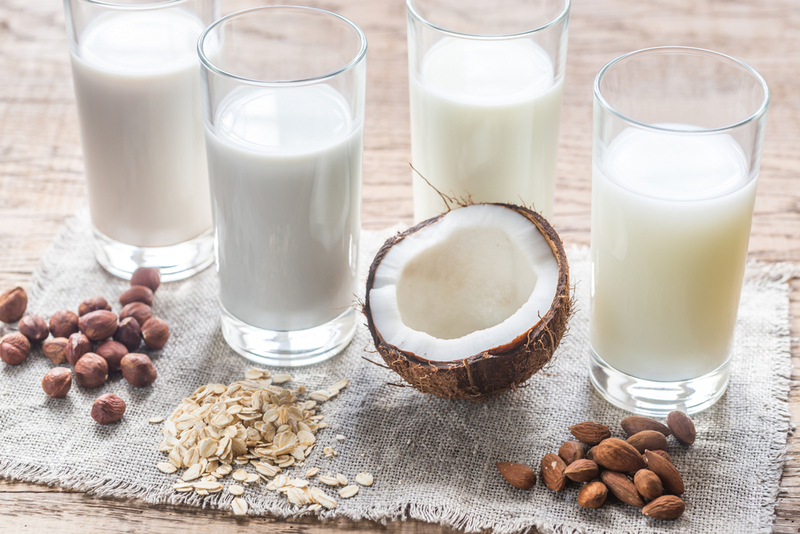 Do these milk alternatives compare nutritionally with their dairy counterparts? Typically no, since the majority of the product is water. However, some companies do fortify their product to enhance the vitamin and mineral profile. Also, caveat emptor, some companies add sugars, additives and stabilizers (to enhance palatability) which can also be a culprit for gastrointestinal distress. 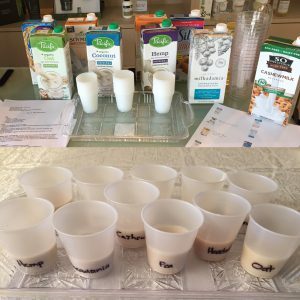 How does the nutrient profile compare to that of cow’s milk? Are there added sugars and stabilizers? The flights: I thought this would be a great opportunity for everyone to experiment by taste-testing all the different options so I prepared “flights” for all consisting of soy, almond, cashew, rice, oat, hemp, coconut, macadamia, hazelnut and pea milk, along with Kefir (which is dairy). All drinks used were the original unsweetened versions except for Rice Dream which was vanilla enriched. Since I have no brand preferences, I purchased what was available at the store. Mainstays soy and almond milk were generally liked. Not too loved were cashew, hemp and coconut milks. Some enjoyed the rice milk and said it tasted just like rice! Macadamia and oat milks were very well-received. There were mixed feelings about Kefir. 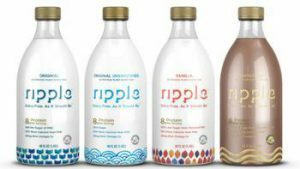 The biggest hit was Ripple brand pea protein milk. Even initial skeptics felt it tasted the most like real milk! CLICK here for a detailed description of milk & plant-based alternatives. This is good news about pea protein milk because this non-dairy choice is lactose-free, nut-free, and soy-free and it actually does compare nutritionally to milk! It also contains fiber and phytochemicals and is low in carbohydrates. I understand Kefir may not appeal to some in taste, but it’s healthy so give it a try in a smoothie or on cereal. Remember to always look at labels as nutrient profiles can differ from brand to brand. Most importantly, choose what you like and what fits your needs! (CLICK here for milk & plant-based alternatives nutrient comparison chart.) Many alternative options are very low in protein, but if you enjoy it and can get protein from other sources then go for it! Most have been fortified with other nutrients found in cow’s milk and some are also good sources of vitamin E. Rice and oat have the highest carbohydrate content which also may be a consideration for some. My client inspiration loved and tolerated the pea protein milk and another client was excited to have tried and liked Kefir and can’t wait to add it to her food repertoire. In keeping with our mission, we learned, laughed and smiled! We’d love to hear what you like, so reach for a cup and report back.